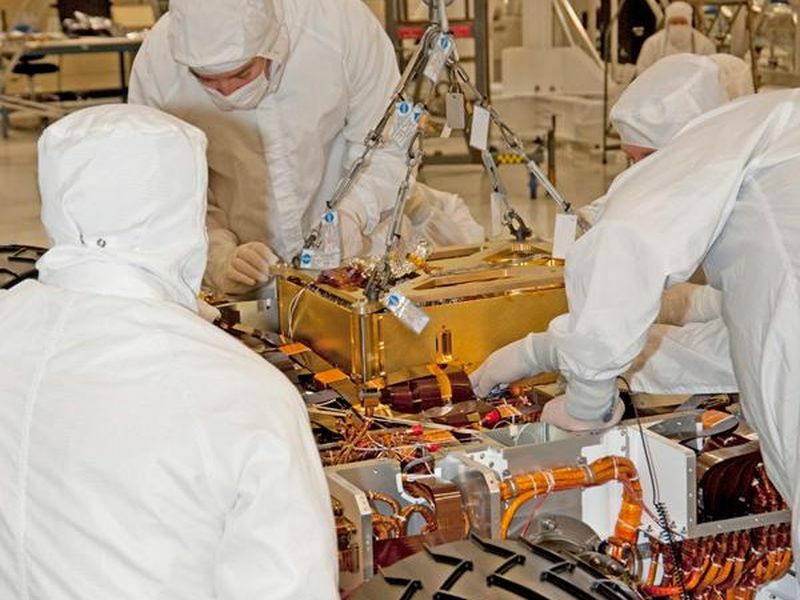 In this photograph, technicians and engineers inside a clean room at NASA's Jet Propulsion Laboratory, Pasadena, Calif., lower SAM into the mission's Mars rover, Curiosity, for installing the instrument. 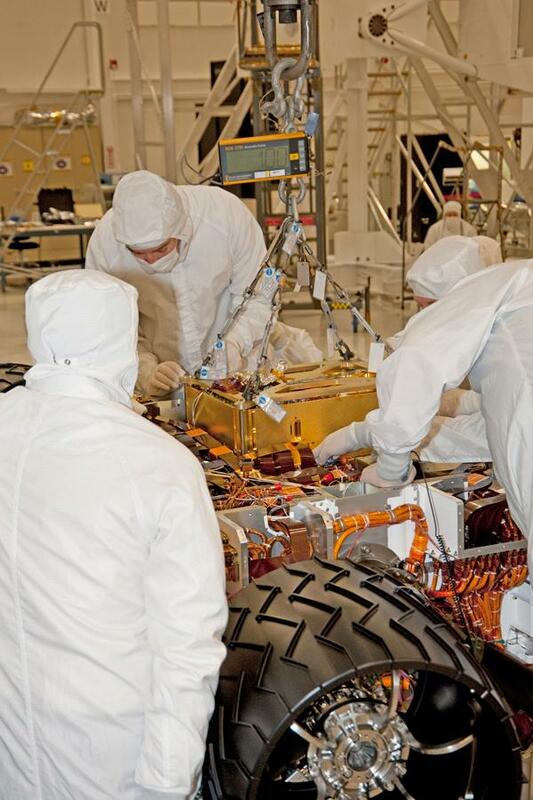 The rover is upside-down with its belly pan removed for access to the interior. The photograph was taken on Jan. 6, 2011. 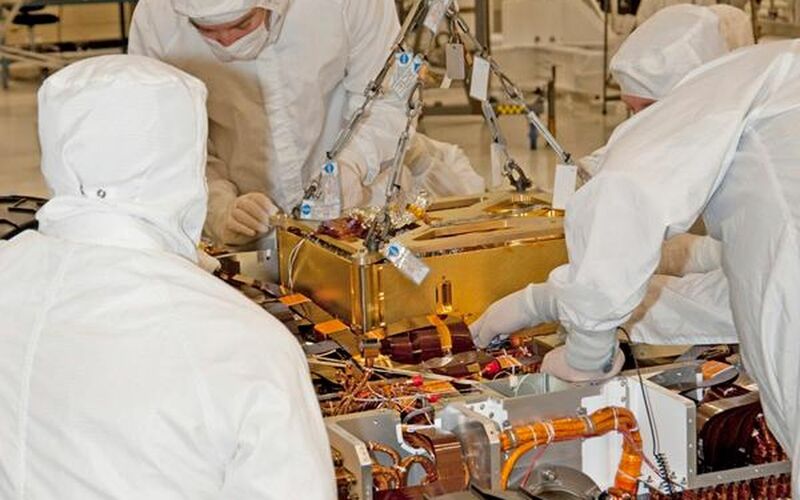 The analytical tools in SAM are a mass spectrometer built by NASA Goddard, a gas chromatograph built by French partners supported by France's national space agency in Paris, and a laser spectrometer built by JPL. SAM's sample manipulation system, including 74 sample cups for carrying powdered samples to two ovens, was built by Honeybee Robotics, New York. 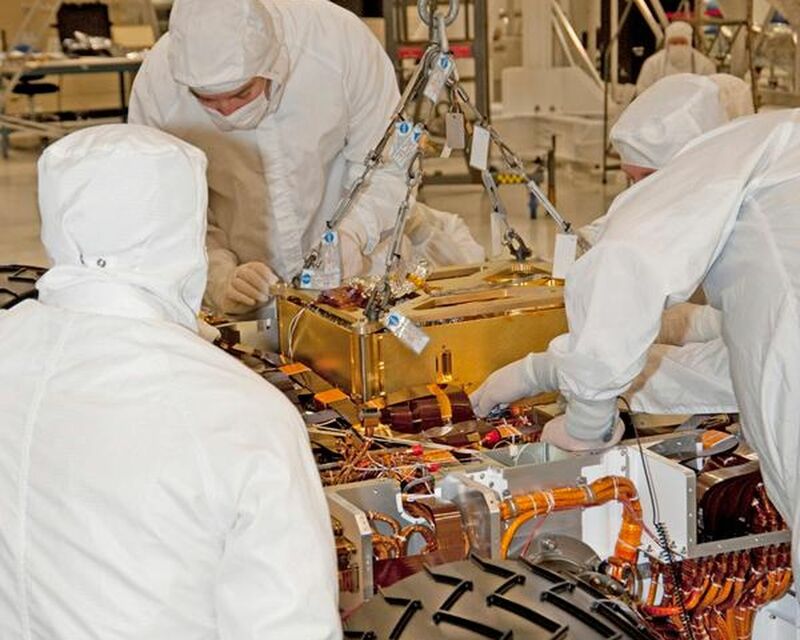 Curiosity's robotic arm will deliver powdered samples, drilled from rocks or scooped from soil, to SAM's inlet tubes on top of the rover deck. Ovens will heat most samples to about 1,000 degrees Celsius (about 1,800 degrees Fahrenheit). SAM will take in atmospheric samples through separate ports on the side of the rover. Inside SAM are more than 600 meters (more than 650 yards) of wiring, 52 microvalves, a soft-drink-can-size pump that rotates 100,000 times per minute, and many other components.